Can you get a reliable PC that meets your standards of style, creativity and affordability? 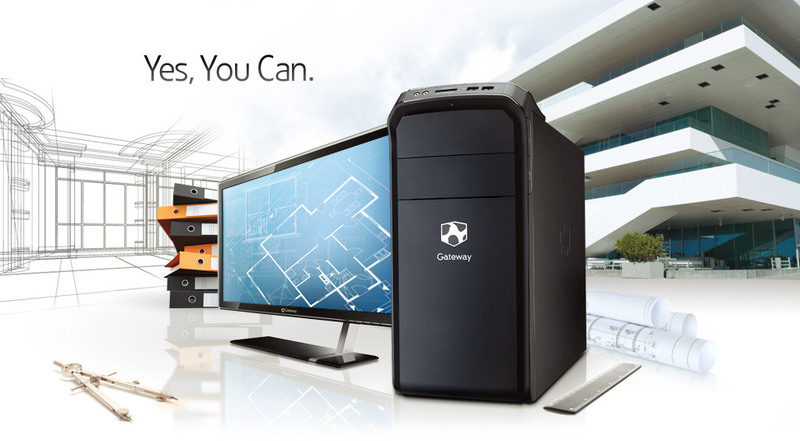 One look at the Gateway® DX Series Desktop and the answer is a resounding “Yes, you can.” With the DX, you can watch high-definition movies, whip up multimedia presentations, check in with your favourite social networks, and more. You can do just about anything using the DX. The luster of the matte black finish, the gorgeous curves of the case, the eye-catching brand logo: All of these DX Series design touches let your personality shine through. The latest core processing technology inside your DX gives you the freedom to compile and organize photos, build music libraries, edit videos, and perform other feats of your imagination. The optional Easy-Swap expansion bay lets you have as many as three hard drives—up to 6TB of storage. With the optional USB 3.0, watch your data transfer speeds skyrocket. Connect memory cards and digital devices to the front panel ports. Enjoy fast access to your external media, and easy file retrieval from and system backup to your attached hard drive.